pie | AN EDIBLE LIFE. The batter turned out ganache-like; thick, shiny and very chocolatey. I used a measuring (table) spoon to measure out the whoopies on the baking tray – this would have been SO much easier if I had used an ice-cream scoop so I could get them all the same size (so they match up) annoyingly I have found printable size guides for Macaroons (that go under baking the parchment) but not for Whoopie pies 😦 it was hard as I had literally no idea how big the halves needed to be. They also came out a little cracked, which has confused me, so I need to investigate as to why this happened. I made some friends very happy with these; they were relatively easy to make and so incredibly tasty. A definite must try! 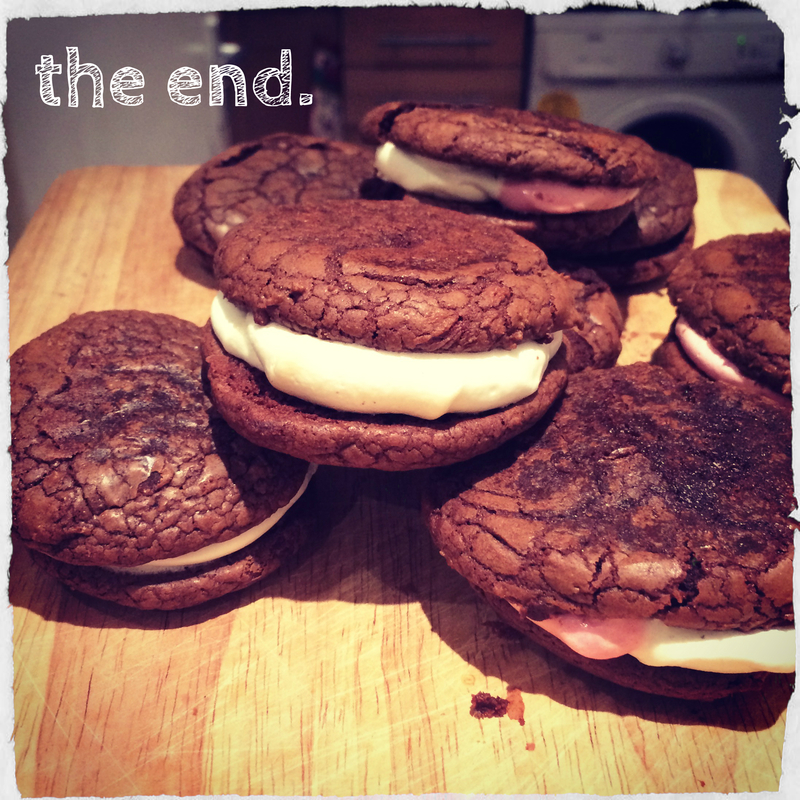 I will be making these again for sure and perfecting before (the sizing being the real hurdle for me) I move on to the many amazing different types of WHOOPIE pies you can bake. Preheat the oven to 180C/350F/Gas 4. Line a baking tray with greaseproof paper. 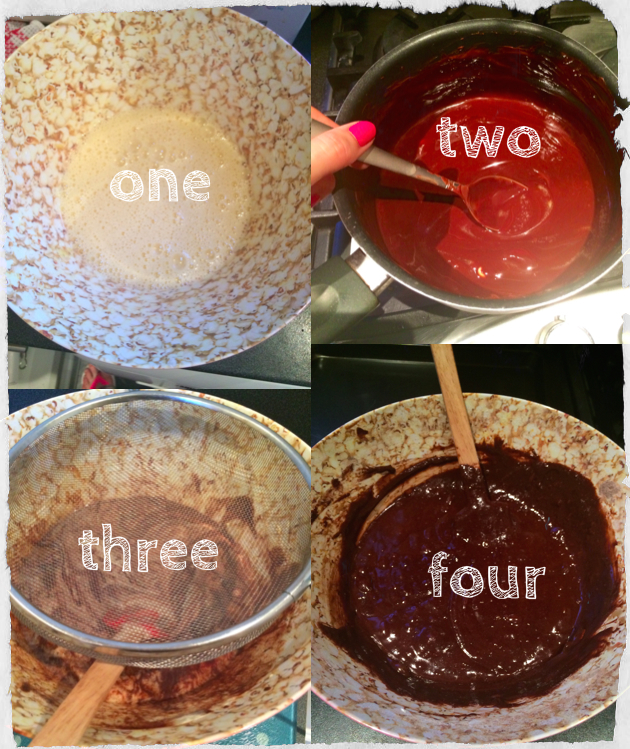 Whisk the sugar, eggs and vanilla together in a separate bowl then fold in the chocolate mixture. Sift the flour, cocoa and baking powder together, then fold into the chocolate and egg mixture. Place tablespoonfuls of the mixture onto the baking tray (the mixture should make 36 biscuits) and bake in the oven for 6-8 minutes. Remove from the oven and set aside half of the biscuits on a cooling rack. Turn the remaining biscuits over and place a marshmallow on top of each. Return to the oven for 2-3 minutes, or until the marshmallows have softened. Remove from the oven and set aside on a cooling rack to cool slightly. Press the cooled biscuits on top. Optional: Melt 100g/3½oz extra chocolate and pour this over the cookies, then set aside to cool.